I’m happy to announce that we are launching Hey, Be Well! private beta application. A mix of new technologies have been used for our backend app. We rely on a microservices architecture for the development of the server-side application, as we want to move as fast and agile as possible, with new modules. By using this microservices technique we are able to develop each module independently, and connect all modules via APIs. For the desktop front-end application, we have chosen Vue.js because it offers a lot of advantages, like scalability, flexibility and modularity. Login and Profile page which allows users to create new accounts using their Facebook account. First Goal Structure we started to code our first goal and test a few forms of validation. In the private beta stage we have 80 users from Hey, Be Well!, Symbolic and Bright team and few specialists. We want to increase this number, validate user flow and test the goal structure. The Hey, Be Well! project is developed by a team of developers from Symbolic, which are dedicated to this project, led by our CTO Andrei Constantin. Alexandru Filimon and Andrei Badea as Software Developers for desktop application work closely with our collaborators Roland Leth and Diana Daia as Mobile Developers and myself, Cristian Filimon manage the development as CPO. What’s next in our development ? 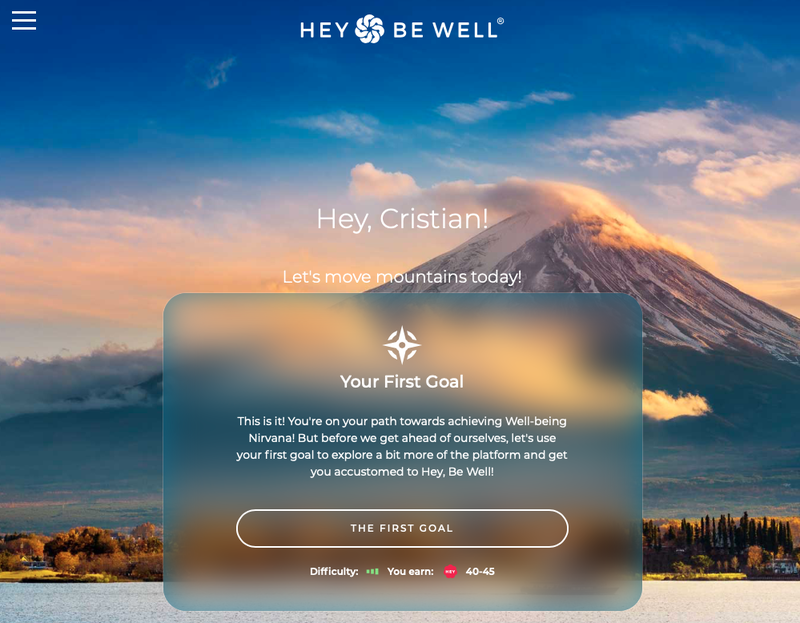 Starting this week, we are focusing on developing the mobile version of Hey, Be Well!. It will be developed by our new collaborators: Roland Leth as Head of Mobile Development and Diana Daia as Senior iOS Developer. We plan to launch the private beta in first part of August and public version, early September. Test Goal Process on potential users. Keep in touch and be well!